in Mkungugu village, Iringa District of Tanzania. Photo by J. Odhong’, IITA. Traditional dissemination methodologies of improved agricultural technologies such as the use of the extension systems or the establishment of demonstration sites have shown potential at localized scales. However, there is a need for more cost-effective methods to disseminate technologies at much bigger scales through methodologies that complement and add value to these traditional dissemination styles. Welcome to the 21st century! 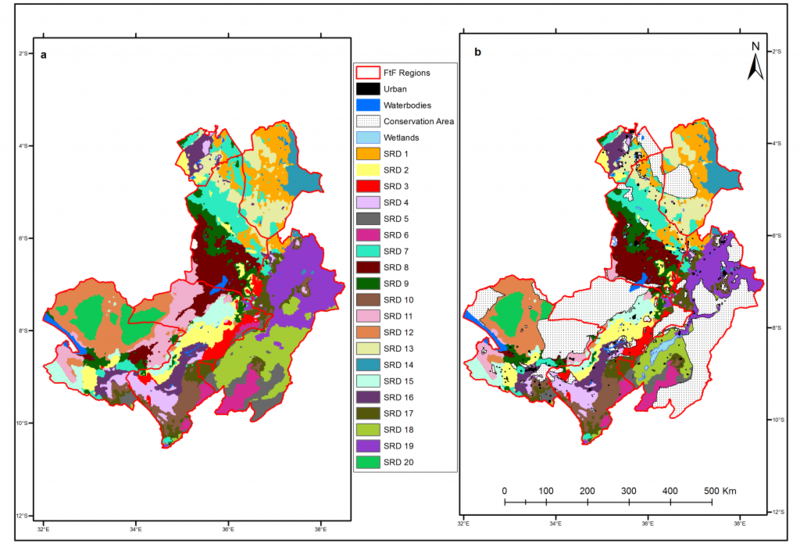 In the lush greenery of the southern highlands of Tanzania, one of IITA’s leading research delivery projects, the Africa RISING–NAFAKA project, is blazing the way in applying GIS tools to add more precision to their scaling methodologies. The project, which is funded by the United States. Agency for International Development (USAID) Tanzania country mission, has successfully managed to identify 20 homogenous zones (with similar biophysical and socioeconomic characteristics) where the various technologies developed, validated, and promoted by the projects have the greatest possibility of gaining smallholder acceptance. and urban areas from clusters (a). Francis Muthoni, the IITA GIS expert leading this effort, notes that: “With this bit of work we have reduced some of the uncertainties that exist when scaling out technologies. It also helps us to get rid of the traditional descriptions of agroecologies such as ‘highlands’, ‘midlatitudes’, and ‘lowlands’ and use more locationspecific descriptions. For instance, ‘highlands’ in Tanzania could be ‘lowlands’ in Nepal around Mt Everest. The next chapter in our work is what can be called evidence-based scaling,” he adds. A research paper highlighting this work, which was published by Muthoni and other collaborating authors from IFPRI and CIAT in the July 2017 edition of the Land Use Policy Journal has generated a considerable amount of interest, particularly in the USAID Tanzania country mission. “This GIS information is very useful, particularly when doing site selection. 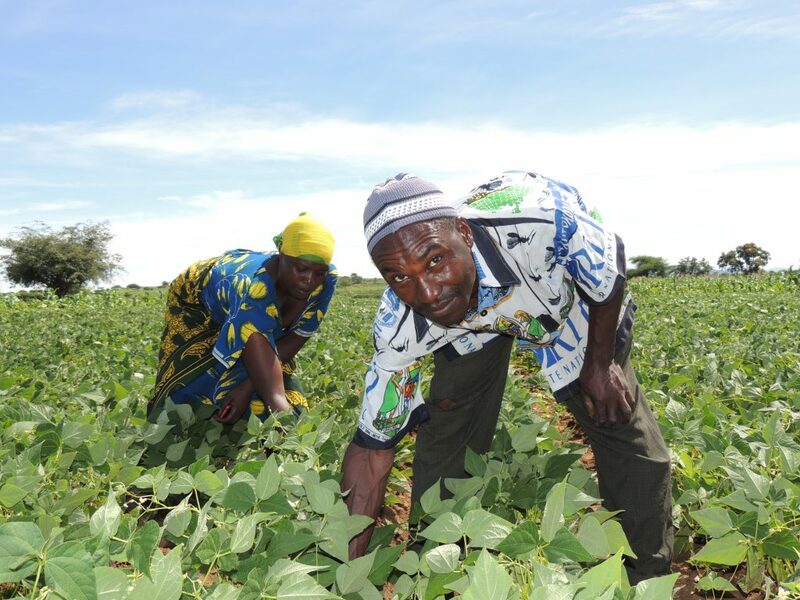 I would like to actually see not only the scientists use this information, but also the development partners too,” said the USAID Tanzania Country Mission’s research and production advisor, Betty Maeda. The findings of this research greatly improve the existing recommendation domains in many aspects. First, the newly generated domains are ecologically sustainable since critical ecosystems such as nature conservation parks and wetlands were masked out to ensure scaling-out of agricultural technologies has minimal negative impacts on biodiversity and ecosystem services. The masked areas included national parks in Mikumi, Ruaha, and Udzungwa mountains that are globally recognized biodiversity hotspots and water catchments with high vegetation biomass that store and sequester significant amounts of carbon. Secondly, the new domains are generated using an objective data-driven approach compared to existing domains that were generated using subjective expert judgements. Thirdly, by using an Impact Based Spatial Targeting Index (IBSTI) as an objective tool for priority setting when scaling agricultural technologies, priority areas within each sustainable recommendation domain are identified and targeted. This, therefore, maximizes the potential impacts of scaling intervention and enhances rationalization of limited resources. It helps to pinpoint priority zones with a high overall population, high poverty index, and number of women and children less than five years that are essential for targeting specific agricultural technologies. This index enables development agencies to estimate potential impacts of their technologies thereby supporting evidence-based site selection. This enhances effective allocation of limited resources and promotes achievement of greater impact especially for projects with a limited time span. 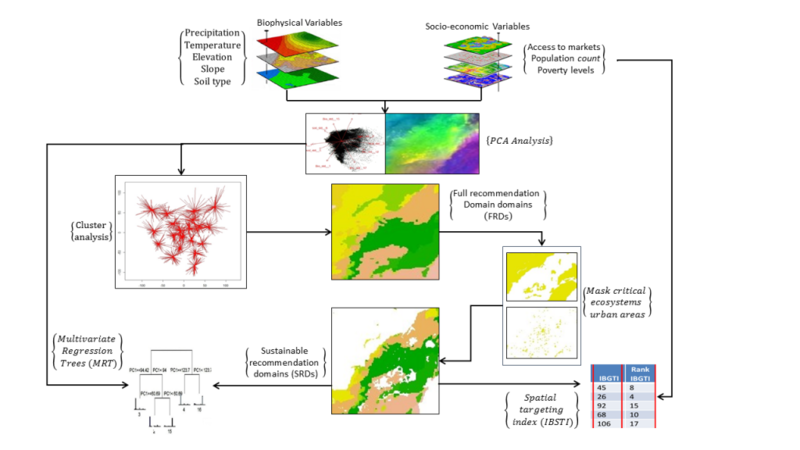 The analytical procedure for delineating sustainable recommendation domains (SRDs) and Impact Based Spatial Targeting Index (IBSTI).